I started out with a home made stencil. 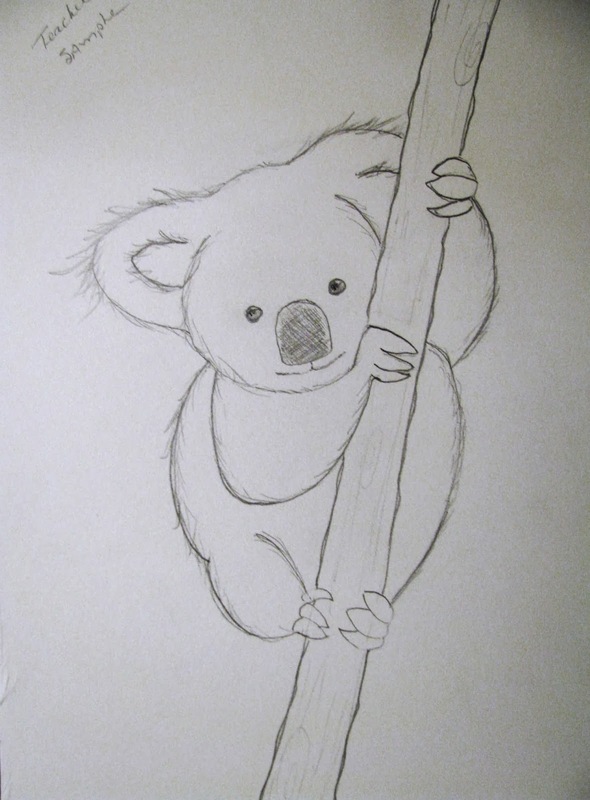 For the 4 and 5 years of age , I drew a out line of the Koala. For the leg, arm and a few other details I drew a broken line. 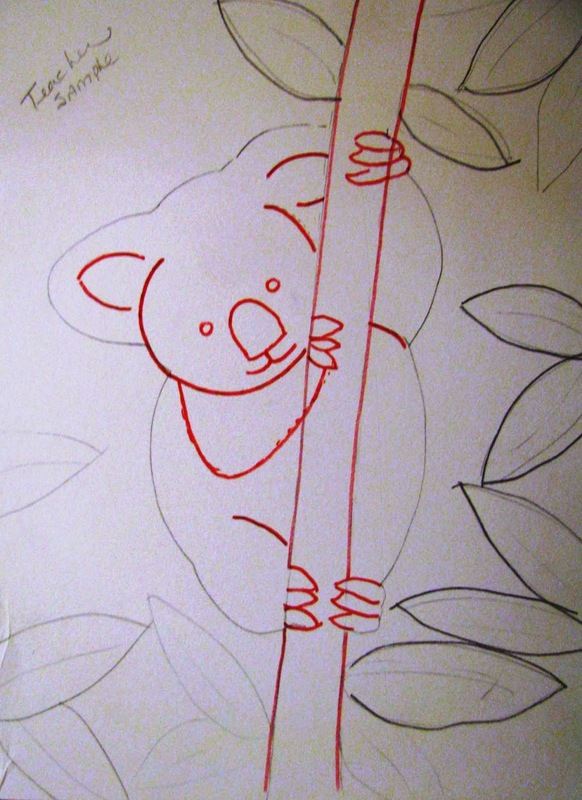 All the kids traced the whole koala. 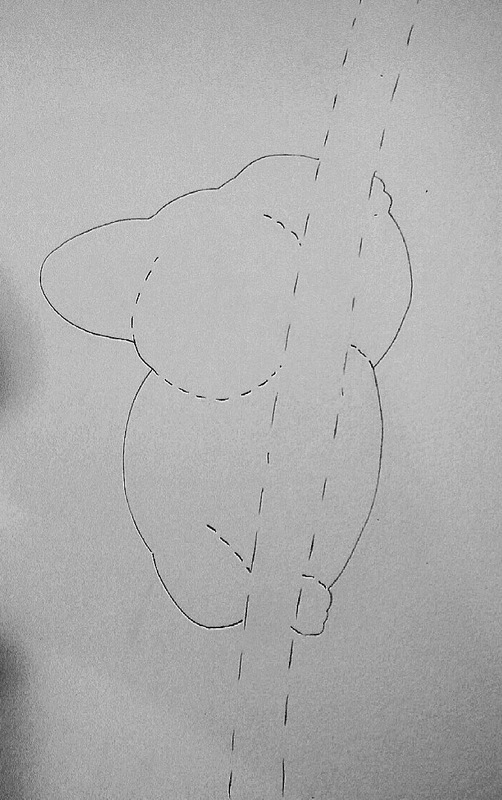 Making the broken lines complete. They added the face, fingers, fur, leaves..ext. The 4 images below are my teacher samples. 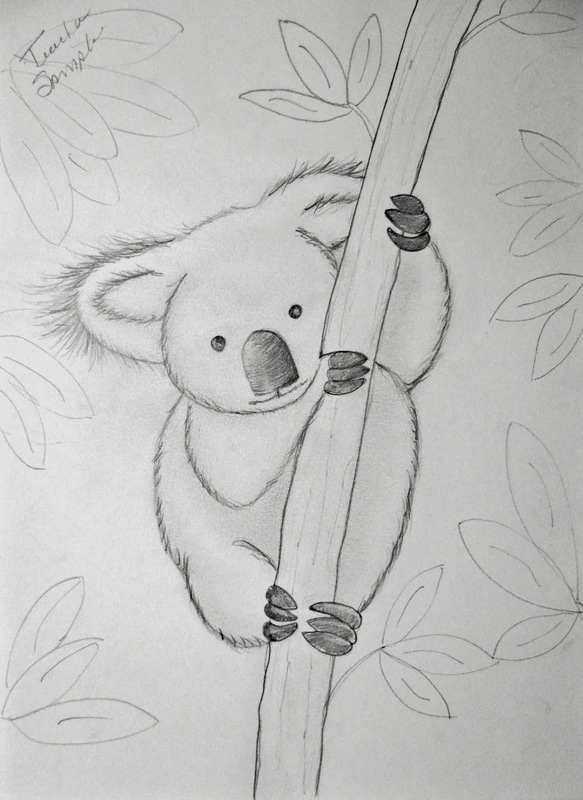 Before we started, I handed out a work sheet of shapes that are in the koala drawing. You can do this with any drawing for young kids. Now that they have warmed up their hand and fingers... we're ready to draw!!! Here are some of the kids drawings. Next week we will paint our picture!! Great job kids! !